Robert Luff and Co are delighted to offer this superbly presented semi-detached bungalow being sold with no forward chain. The property is situated in a fantastic residential location with shops, schools, bus routes and mainline railway station serving London/Brighton, Portsmouth and Southampton all being close-by. The beach is also situated under two miles away. The bungalow has a good size low maintenance South facing garden, South facing 15'8" living room with bi-folding doors into 20' conservatory, two double bedrooms and a modern kitchen and shower room. There is ample parking for many cars and a garage. There is a seven seater covered hot tub, large loft with conversion potential and many other features. Internal viewing is essential. Double glazed obscured front door and further door. Access to loft space via pull down ladder, large loft space for conversion if required and subject to obtaining necessary consents. It also houses the combi gas fired central heating boiler. Cloaks cupboard, further cupboard with electric circuit board fuse box and timer control central heating timer, smooth ceiling. Real flame gas fire with fire surround and hearth, smooth ceiling, TV point, tall space saving radiator, bi-folding double glazed doors. Double glazed and brick construction with pitched glazed roof, double glazed windows and two sets of double opening doors with views over and onto the rear garden, space saving tall radiator, double glazed double doors into Kitchen, which is also accessed via the hall. Measurements to include built in units. Matching range of floor and wall units with work top surfaces and inset single bowl single drainer sink unit with mixer tap and side rinser, under lighting, wine rack, plumbing and space for washing machine, built in oven, hob and extractor, plumbing and space for slimline dishwasher, space for fridge/freezer. part tiled walls and tiled floor, tall space saving radiator. Double glazed window, smooth ceiling, radiator. 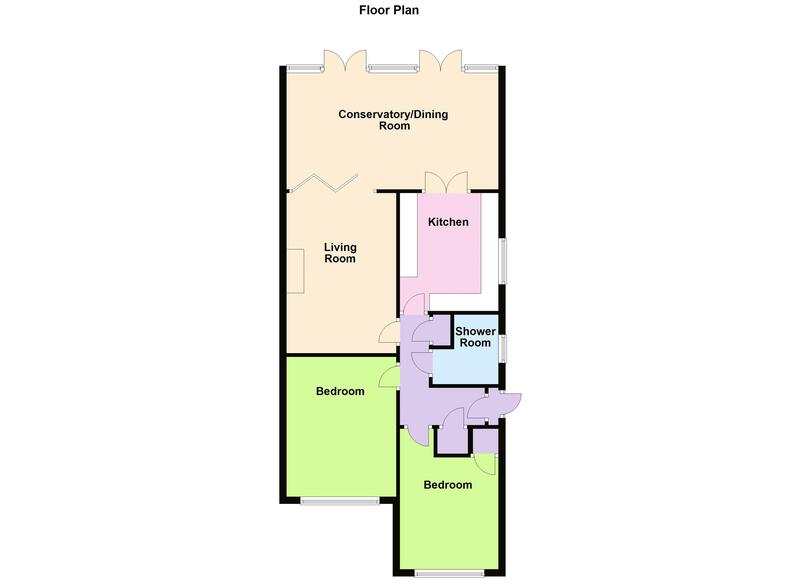 White suite with step-in large shower with drench head and side rinser, close coupled low-level w.c, wash hand basin with cupboard below, obscured double glazed window, tiled walls and floor, smooth ceiling with spotlights and extractor, ladder style heated towel rail. which is boarded internally and used as a workshop with utility area with power and light, vented for tumble dryer, double glazed door to garden. laid to artifical lawn for ease of maintenance, large decking areas, covered 7 seater hot tub which enables use throughout the year, the garden is enclosed by panel fencing, security lighting, water tap and hose, side access gate.